With the effects of the Thailand floods finally behind us and more manufacturers joining the SSD party, the SSD market has become quite competitive. 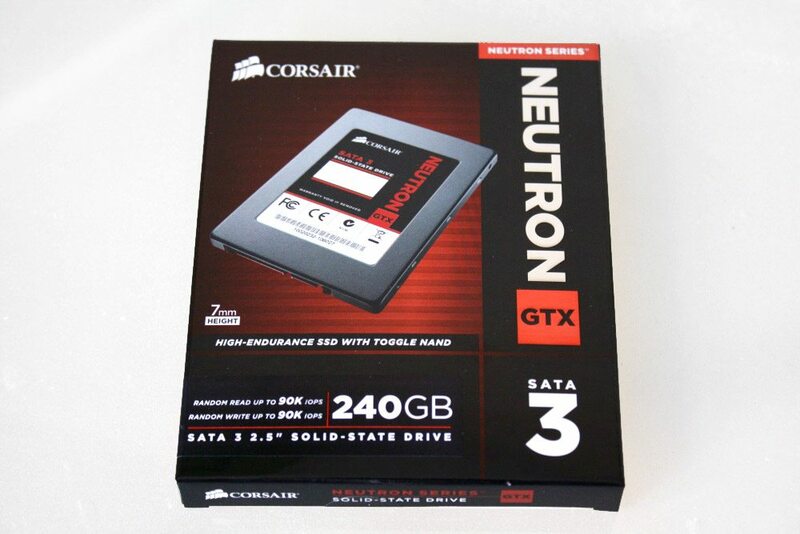 We recently looked at two Plextor SSDs that provided an impressive amount of power, and now we’re looking at another top tier SSD, the Corsair Neutron GTX, that promises to be “one of the fastest SSDs on the market.” We’ll test the truth of that statement in this review – let’s get into it! 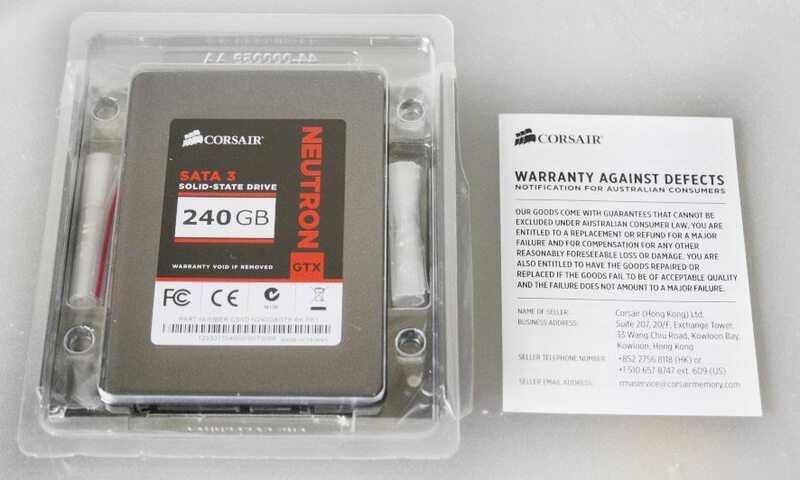 The Corsair Neutron GTX comes in an attractive black and red box. 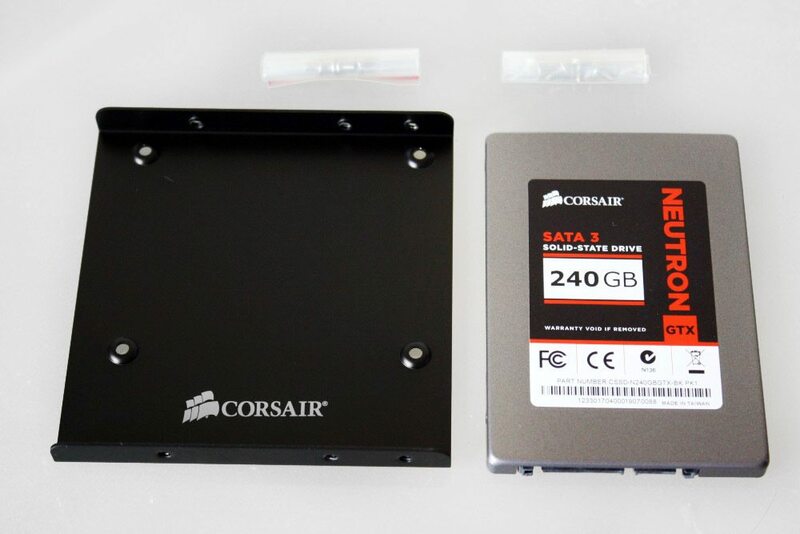 The drive itself is shown on the front, with the typical red and black colour scheme of Corsair. The front of the drive has the vital stats, too: 240 GB of space, Random Read and Random Write of up to 90K IOPS. It’s also important to note that the Neutron GTX is a 7 mm model, meaning it’s suitable for use in ultrabooks. 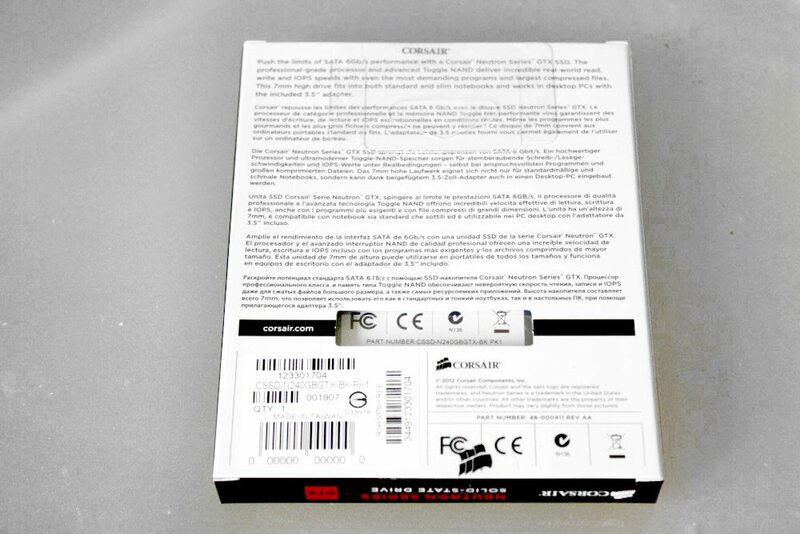 The back of the box has the standard multi-language blurb, as well as the sticker and a window showing the part number of the SSD inside. Taking the plastic out of the box, we see the components: The SSD itself, flanked by two screw bags with the 3.5 inch tray on the back. There’s also a small warranty notice ‘for Australian consumers’. The tray is the exact same design as Plextor’s, with a single-piece plate with screw holes offset from the centre. The screw bags are rolled up and taped, and proved slightly annoying to get into without a pair of scissors.